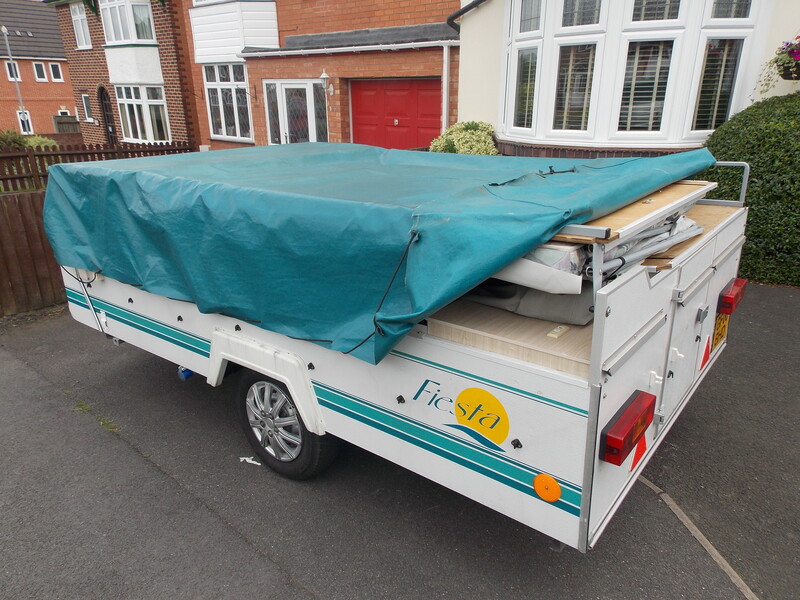 Considerably larger than the Aztec, the Fiesta is also much better equiped. 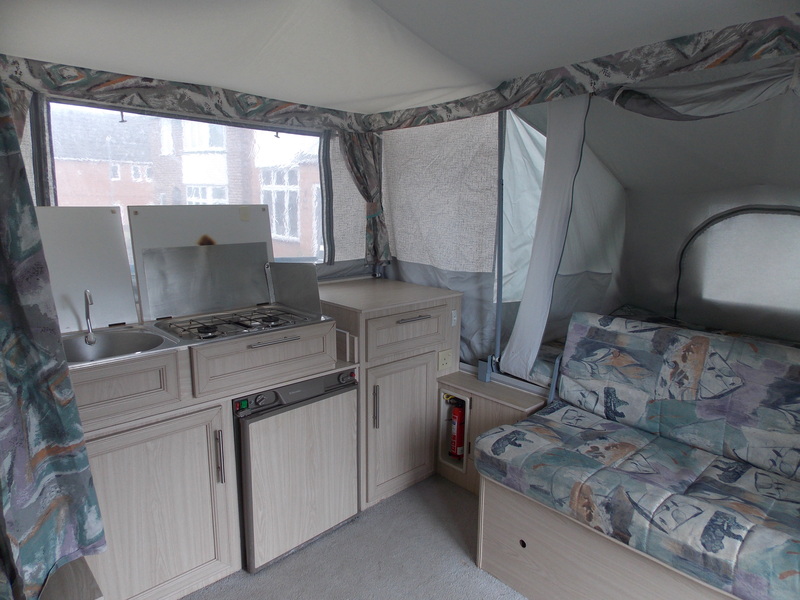 It is also unique in the Pennine range, in that the canvas / living area is actually a shallow 'T' shape, as opposed to the standard rectangular footprint of the other models. 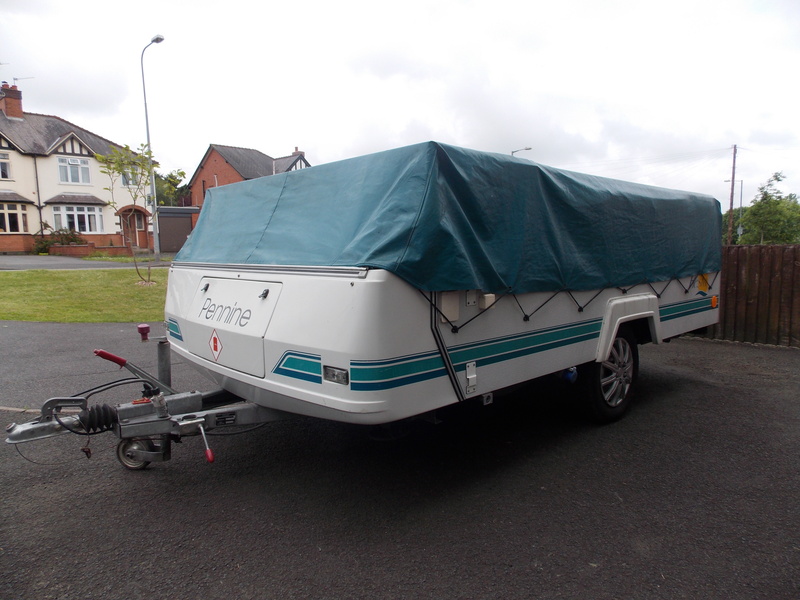 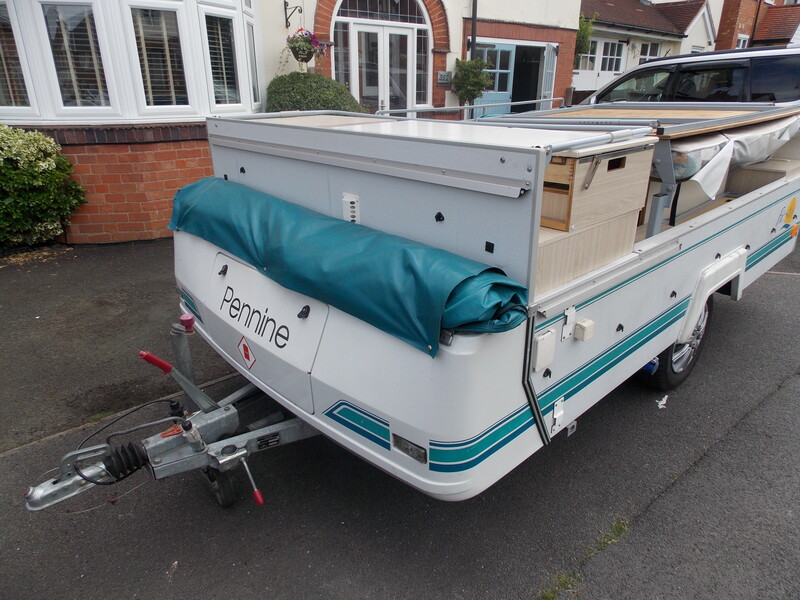 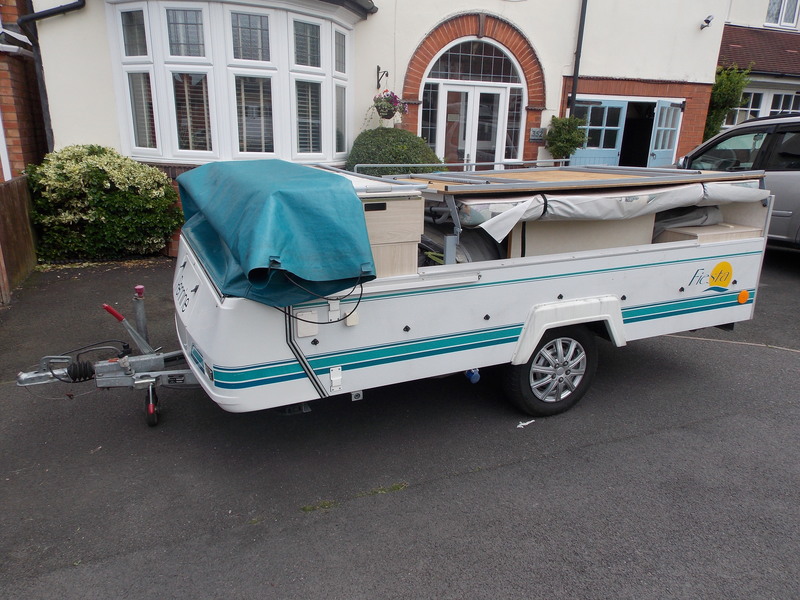 Equiped with a three way fridge, mains electric and leisure battery, the model offered not only the 4 berth sleeping accomodation of the Aztec, but also comfortable seating for that many as well, making a holiday for 4 a comfortable and realistic proposition. 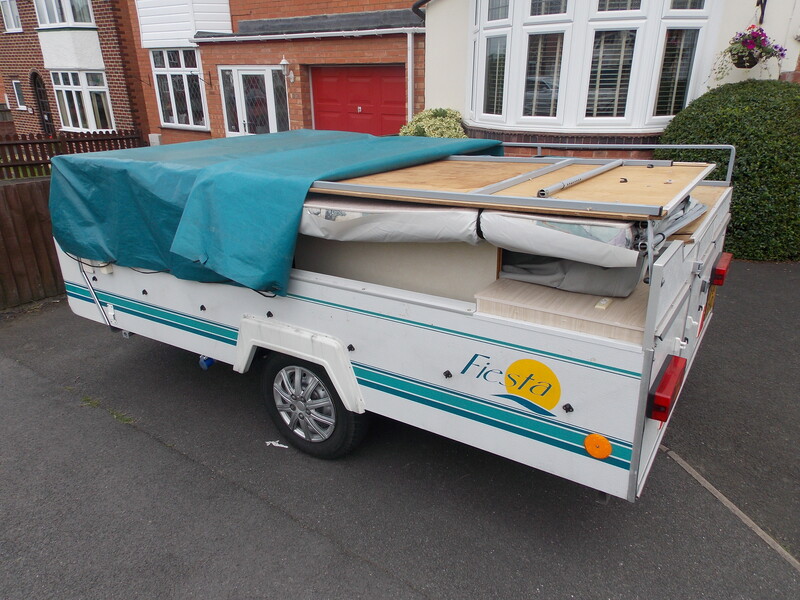 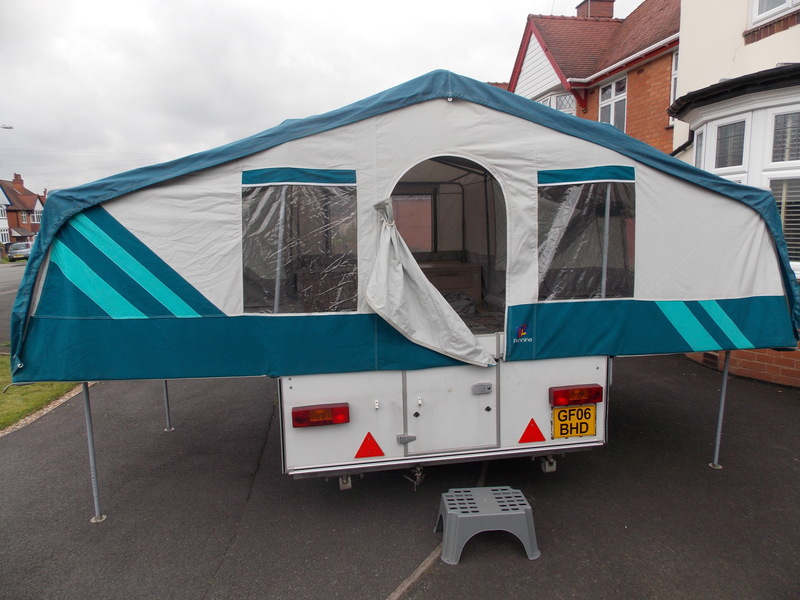 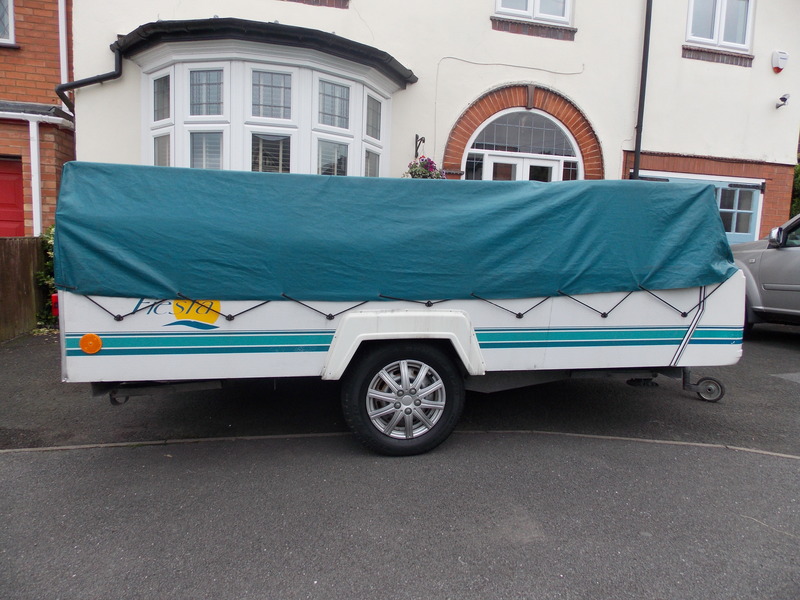 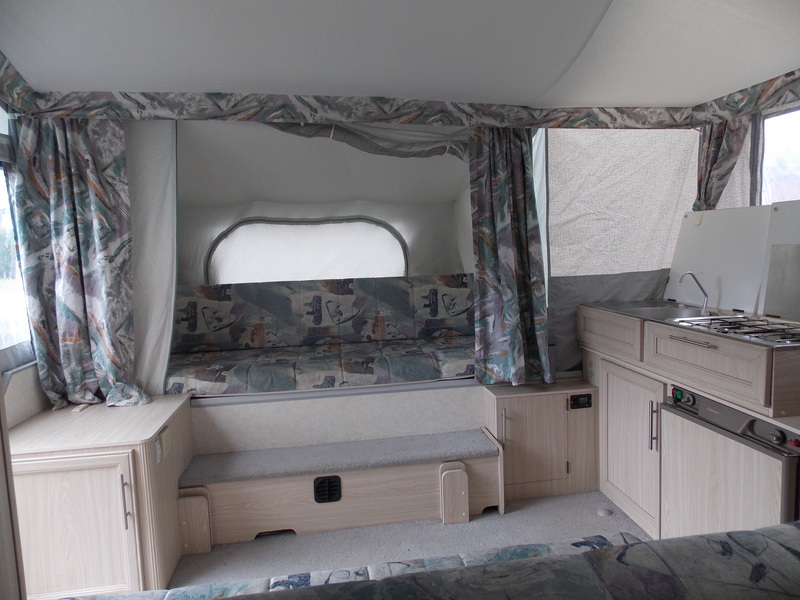 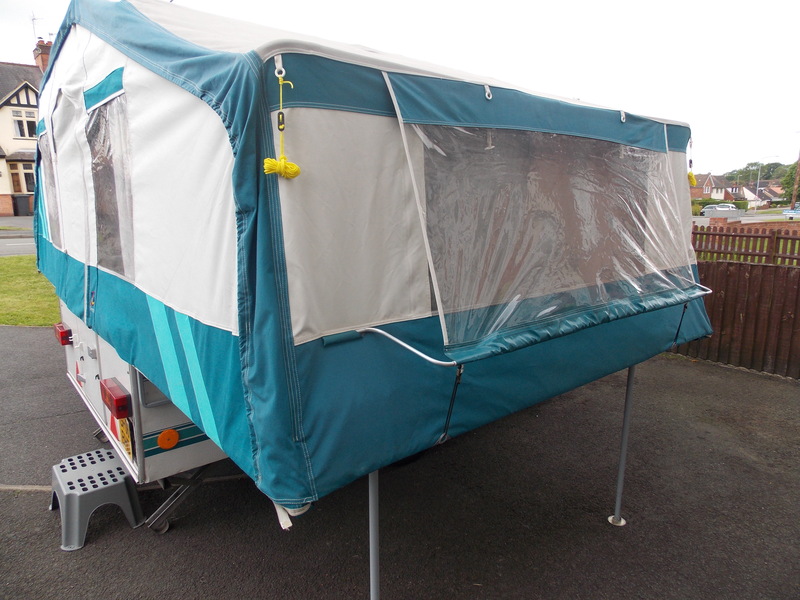 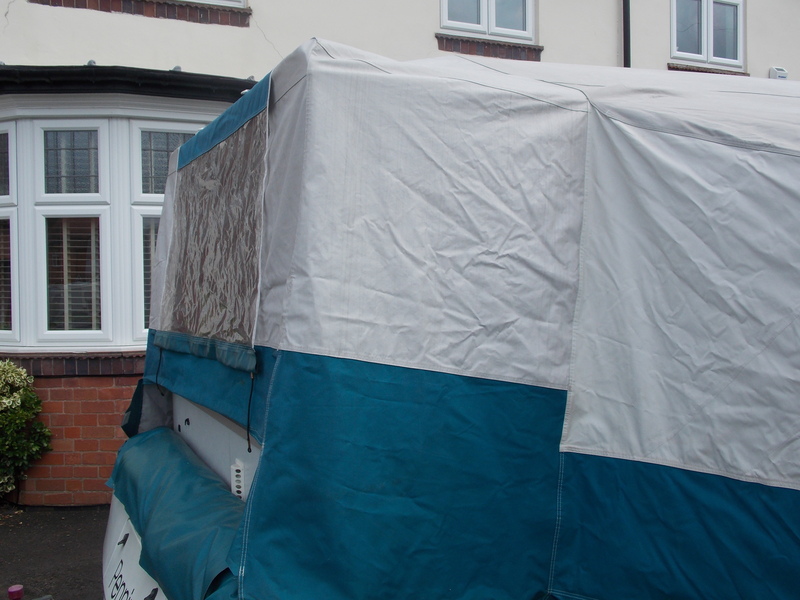 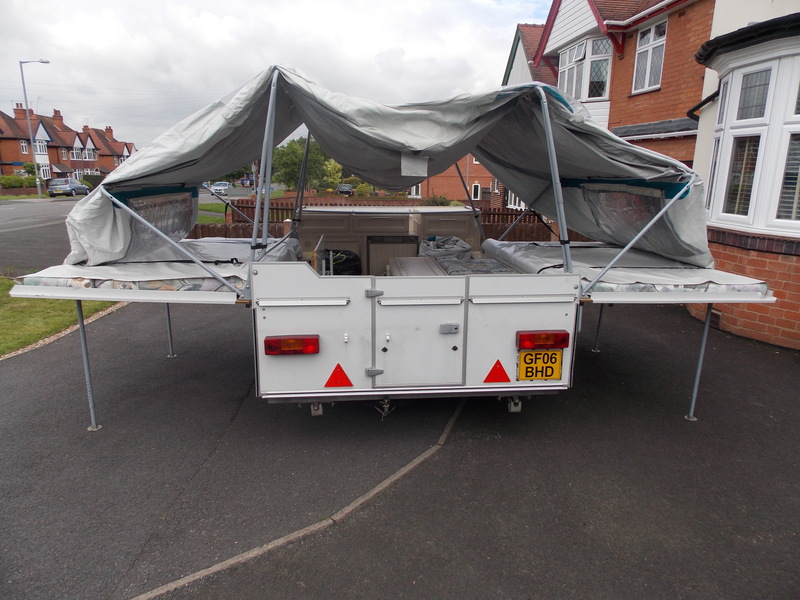 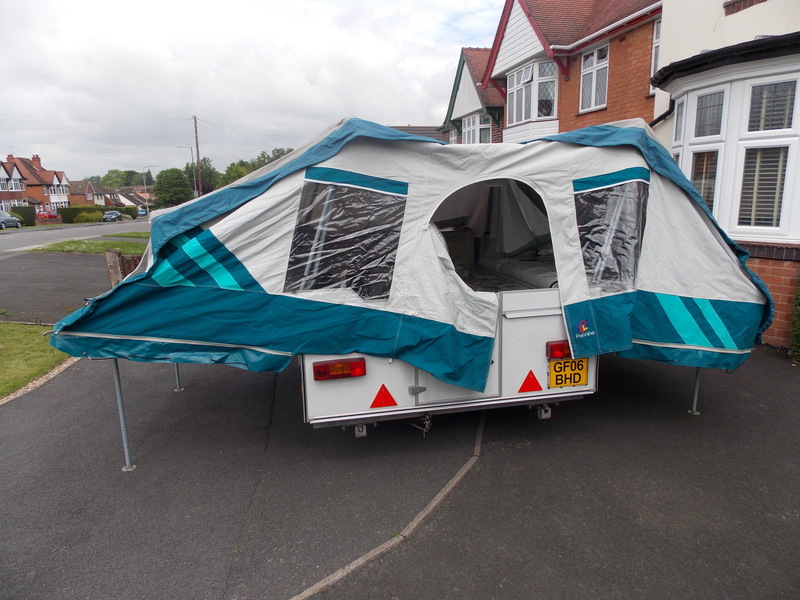 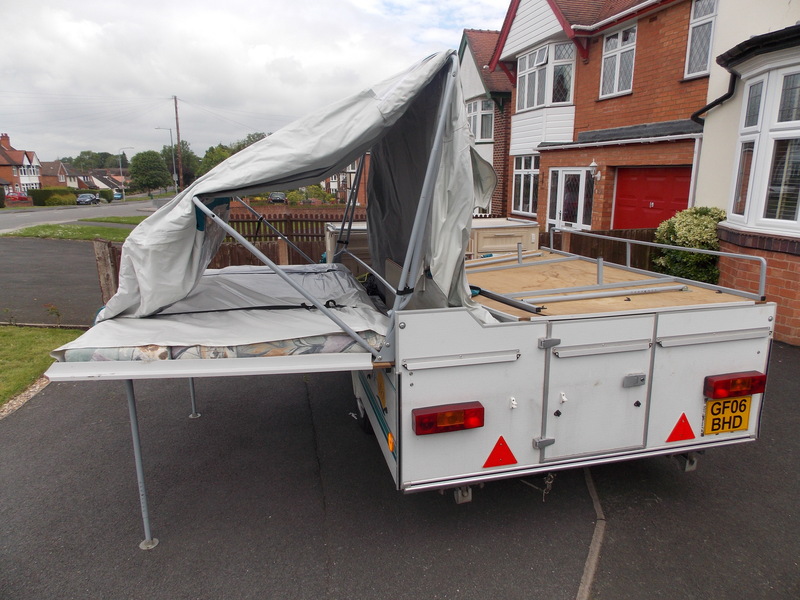 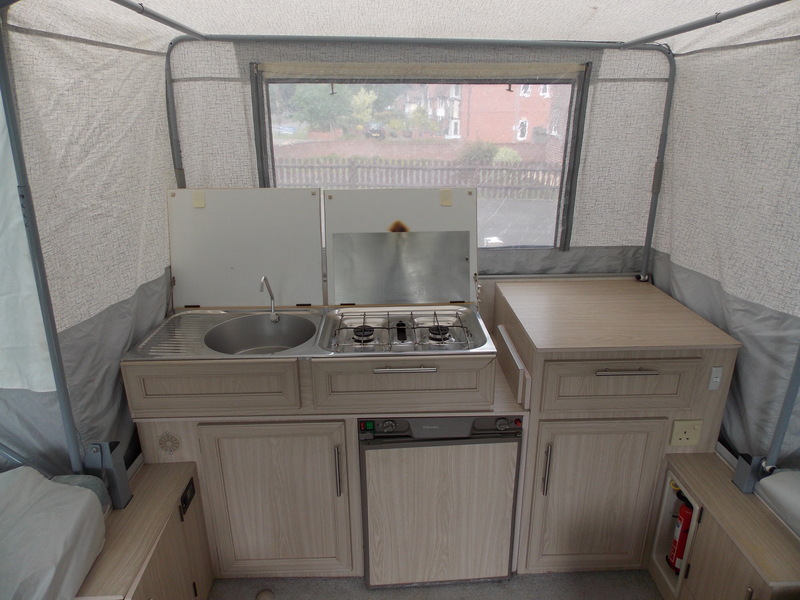 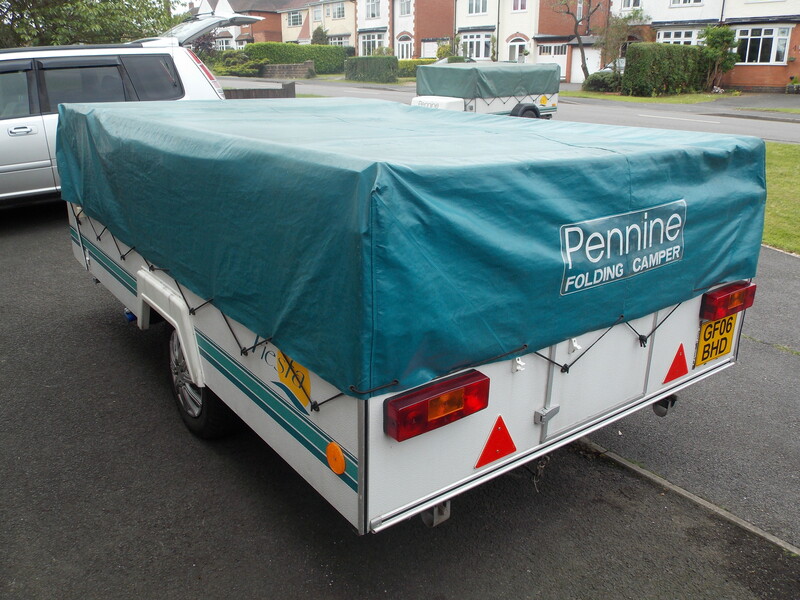 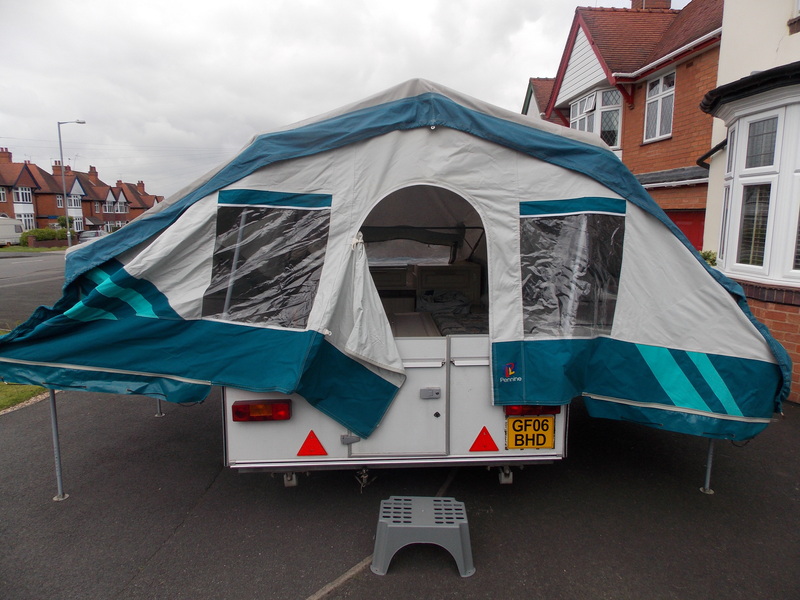 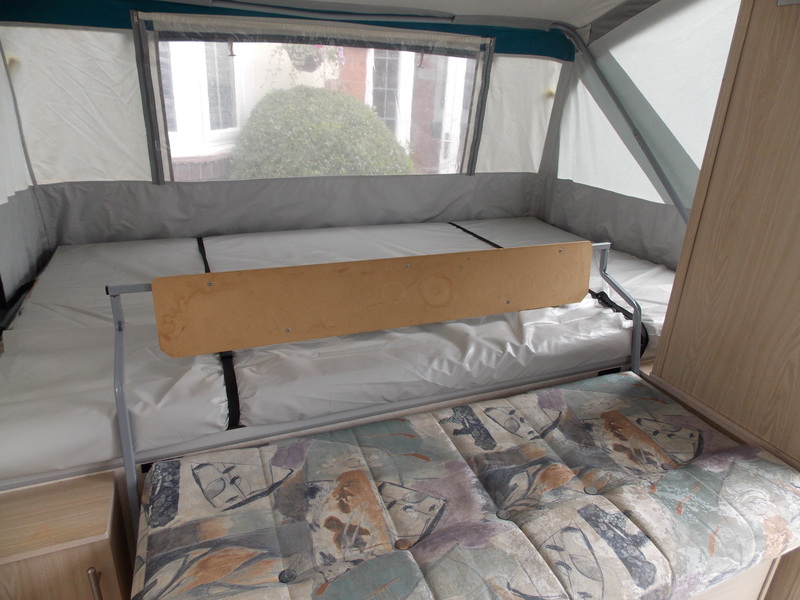 As with all models, the addition of the optional matching awning served to double the accomodation for those longer trips away. 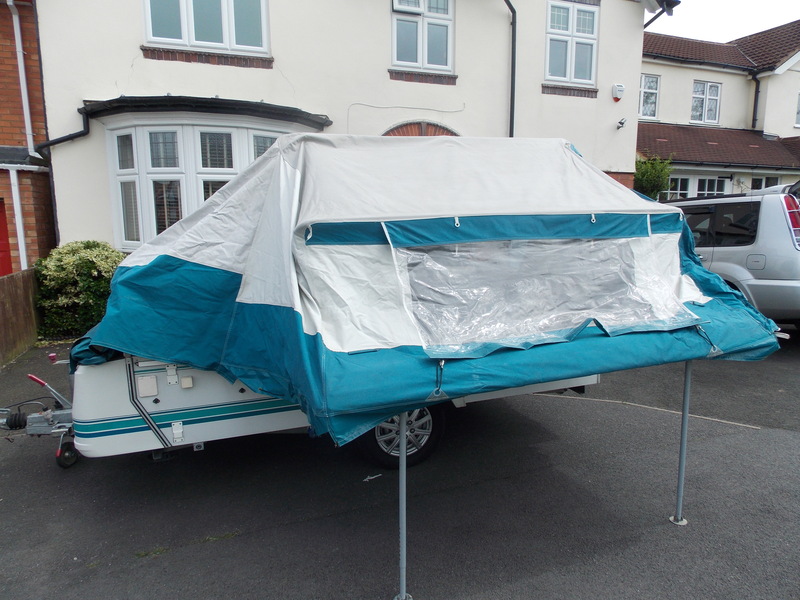 The Fiesta takes a little longer that the Aztec to set up, at around 15 minutes, but the awning also takes around half an hour. 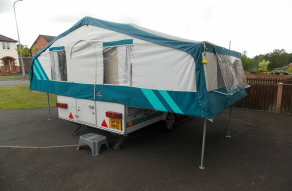 This is still considerably less than many large tents, and there is simply no comparison in the facilities and accomodation provided. 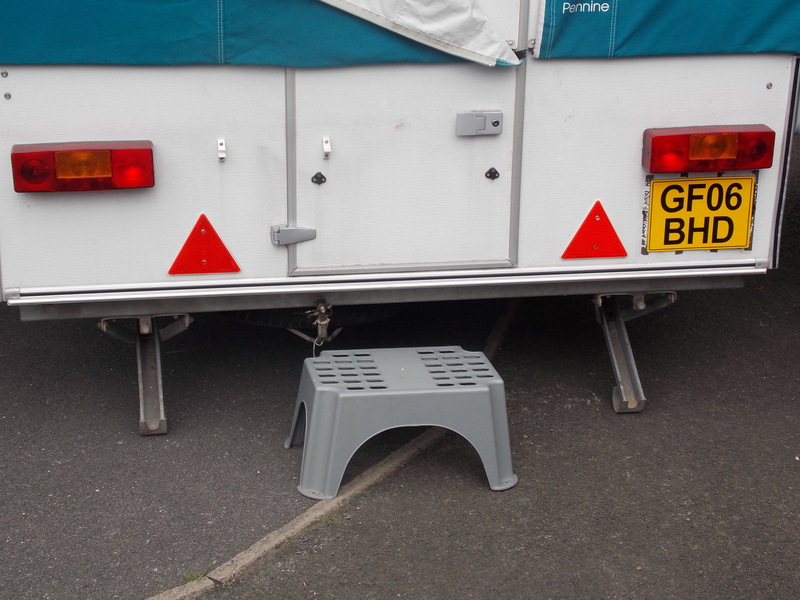 Although the older model Fiestas lack the toilet compartment of the newer Fiesta 2 + 2 models, they have everything else you need onboard. 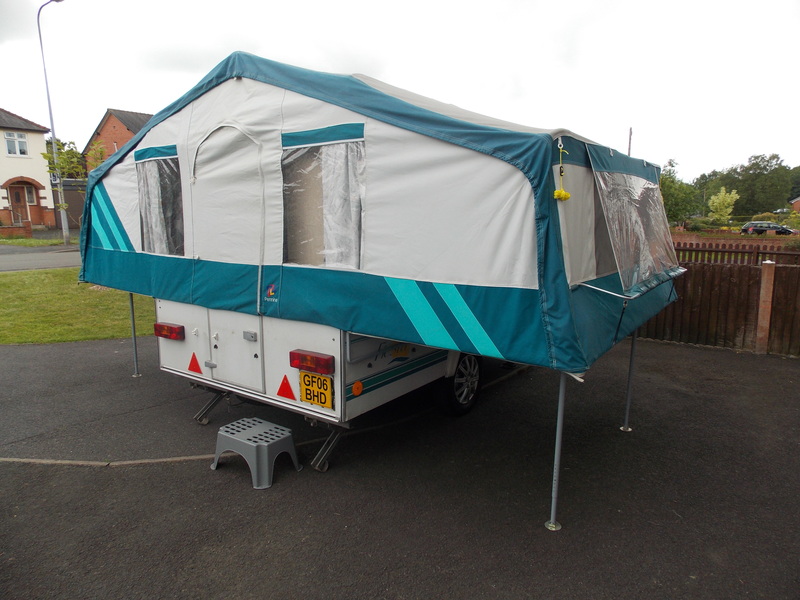 For more pictures of this, and other projects we have been working on, why not take a look at the Gallery Page, to get a feel for how the campers look when set up and in use.. 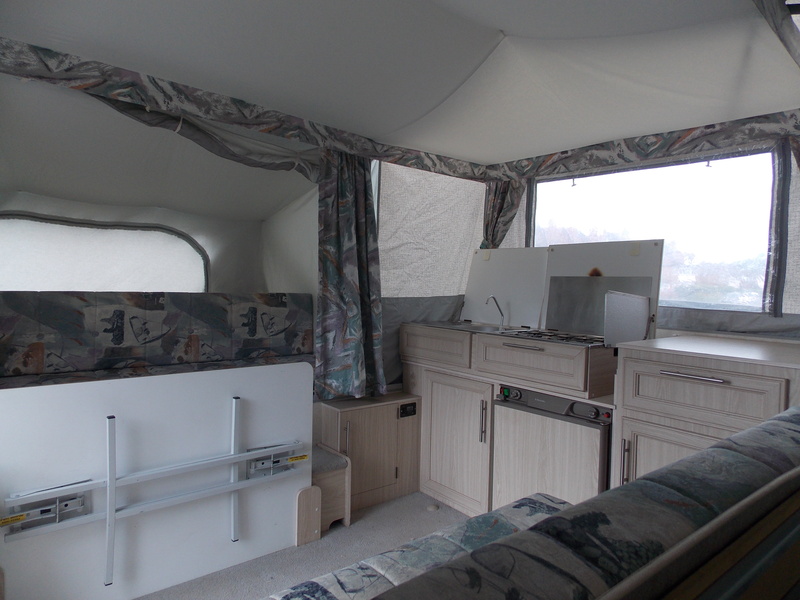 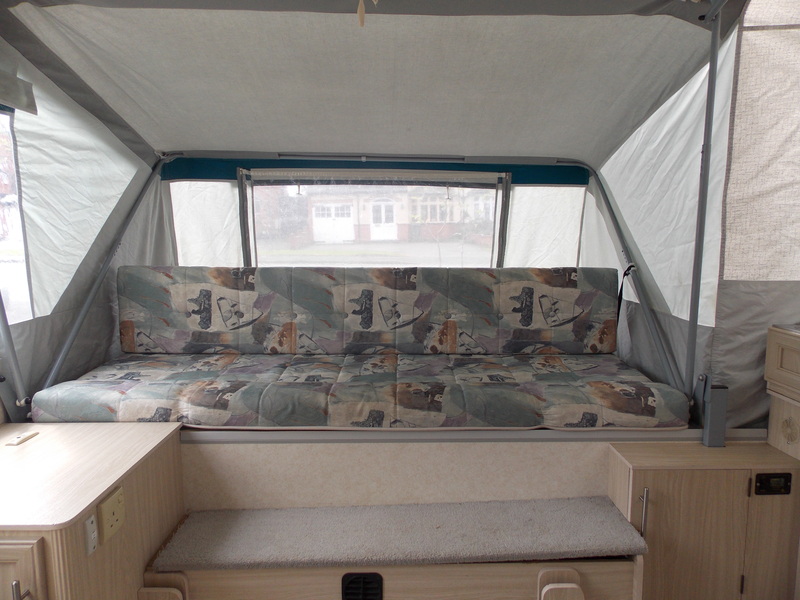 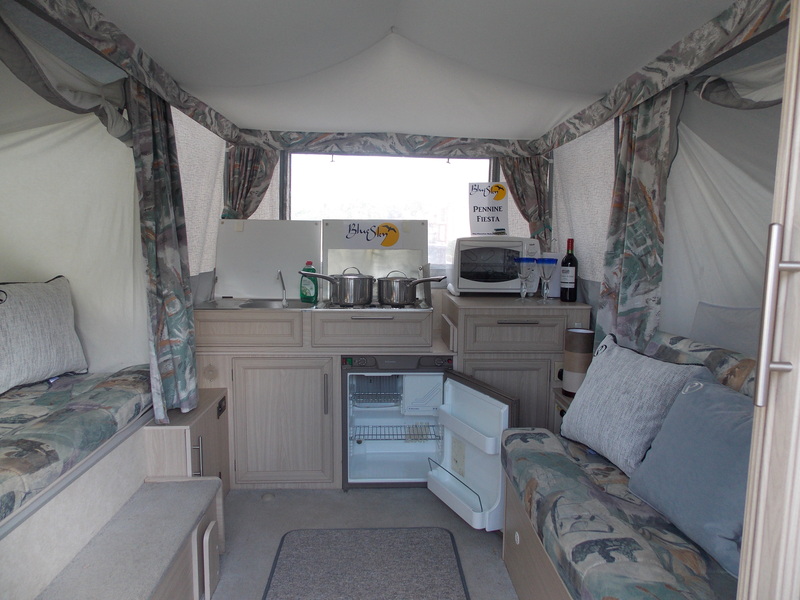 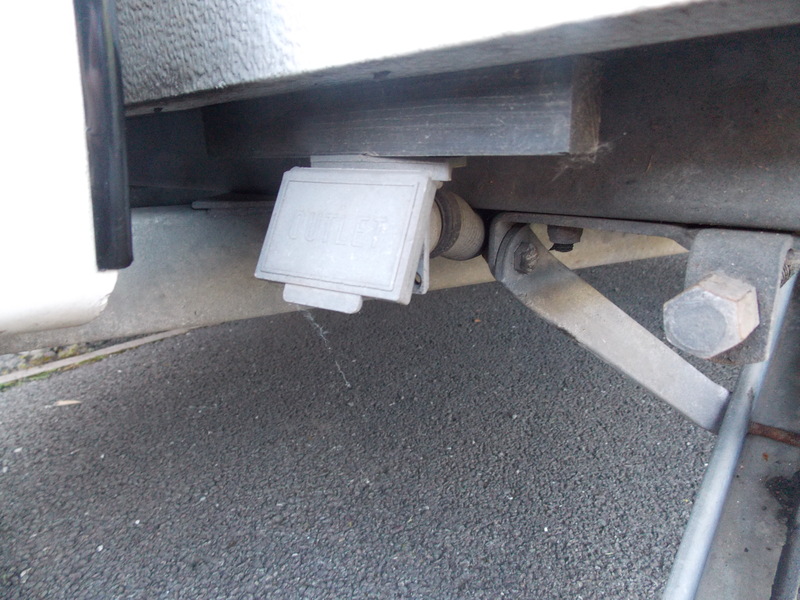 This sequence is intended only as a guide, both for new purchasers, or those thinking of buying, and wanting to know exactly what is involved in setting up their new camper. 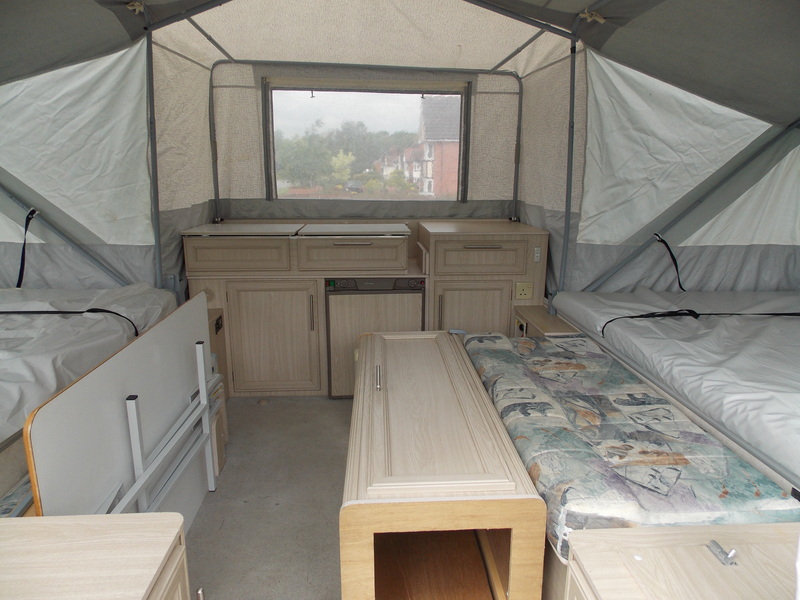 It is neither a definitive guide, nor a rigid procedure, and the order may vary, according to personal preferences. 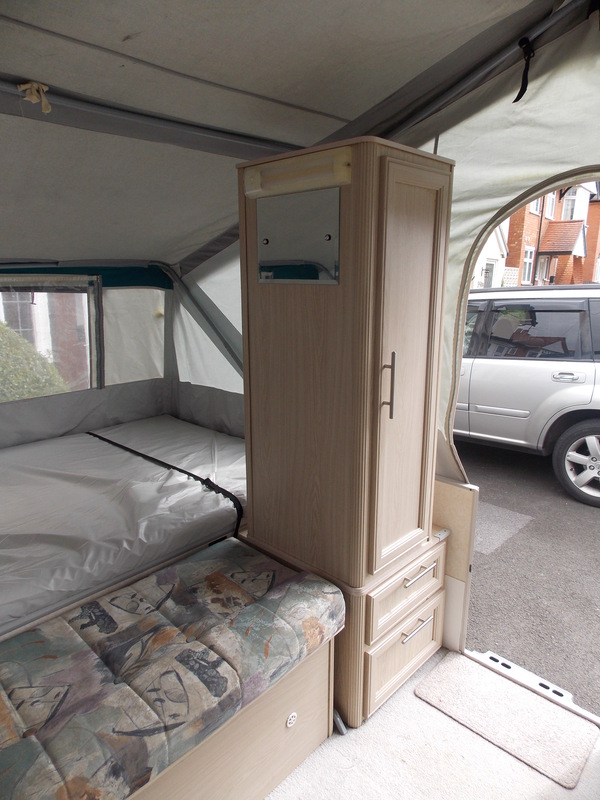 Also, certain items may be optional extras (as the wardrobe is on many models) and may not be included in your own camper.